Adopting a new unified communication solution involves quite a few steps. Decision-makers must choose the tools that will make the most different for employees and internal processes. From here, executives must decide of the system will live on-premises, in the cloud, or in a hybrid environment, and must then select the provider that will support these services. Finally, it's time to actually deploy the technology, and migrate any necessary assets over from the legacy platform to the new solution. Once everything is in place and UC solutions are up and running, decision-makers may feel that their job, and the deployment process itself, has been completed. However, there is one more incredibly critical step to carry out here: end-user training. We understand the hesitation that can exist here – some managers might feel that users are already familiar with the style and access to UC tools, and therefore spending time on dedicated training might just be a waste. Users may not be as well versed in use of the new system as managers might assume. After all, if employees have utilized the same legacy tools for years, even a change to something a bit more up-to-date can make a big difference. Access and the ways in which tools are integrated and leveraged can change from system to system, and users may need items like new icons, a different navigation style and other elements explained to them. Training can help prevent shadow IT. Users that don't understand the new system or may not feel fully comfortable with its use may fall back on more familiar programs if proper training isn't in place. These shadow IT processes – which take place on platforms that haven't been officially approved and brought into corporate infrastructure by the internal IT team – can be a danger to data security. Proper training, however, can help users feel more knowledgeable with the new UC features, and will lessen the chances of them seeking out another platform to support their communication and collaboration needs. 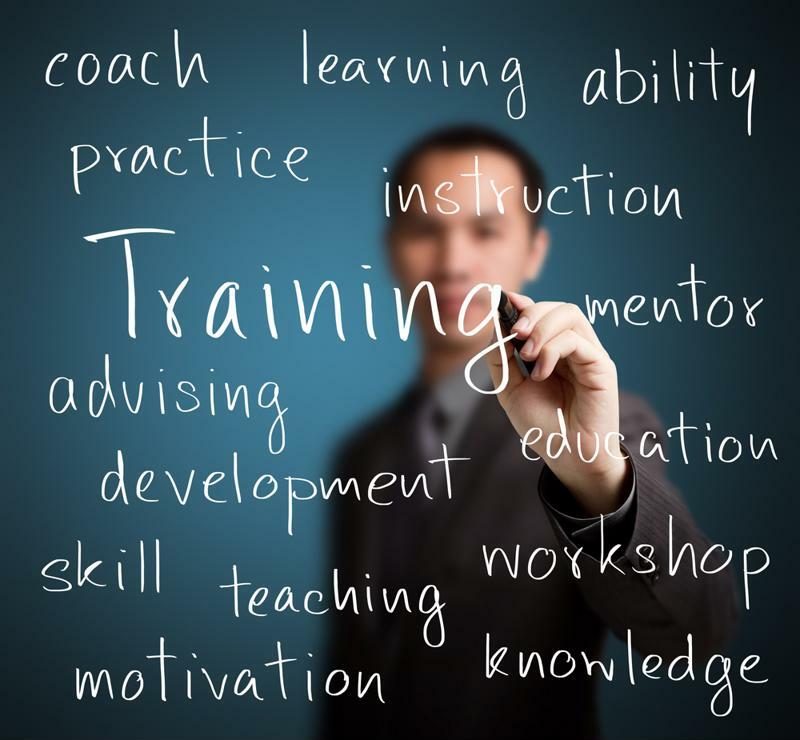 Training supports a strong ROI. As ITProPortal contributor John Brett pointed out, achieving a robust ROI isn't just a top expectation of UC deployments anymore – it's now often viewed as a prerequisite of the initiative. Supporting a strong return with training is a smart investment that can make a real difference for users and upper management. "When little or no return is seen, it can be frustrating or embarrassing for those in the business who pioneered investment in the new technology," Brett wrote. "Incorporating any new IT system into an organization can be very disruptive and challenge for staff. The overall commitment to UC integration should always incorporate some element of staff training." After new tech has been deployed, its up to managers and stakeholders to ensure that employees are properly trained on its use. With the question of necessity aside, some decision-makers and managers may simply feel overwhelmed at the prospect of UC training. With a completely new system in place that includes a full suite of new features, it can be a challenge to pinpoint where to begin with training and which areas require the most focus. Begin by explaining the change. A study from MIT Sloan Management Review and Capgemini found that when it comes to technological change within the enterprise, 63 percent of businesses noted their internal processes were too slow due to lack of urgency and poor communication about the new tech. In this way, it's important that training begins with an overview of the reasons behind the deployment. "Employees need to understand why [the new technology] is an improvement from what they had before," Didier Bonnet, global practice leader at Capgemini Consulting, told Harvard Business Review. "The job of a manager is to help people cross the bridge – to get them comfortable with the technology, to get them using it, and to help them understand how it makes their lives better." Check out the new features. From here, training can delve into the UC platform's features, including especially those that are new or weren't a part of the old system. For instance, if the new UC technology includes video conferencing and users haven't had access to this type of tool within the business before, a good portion of training efforts should focus around this use. Features that users are already familiar with – such as traditional VoIP calling or instant messaging – can represent a smaller part of overall training efforts. Go over access and data security. Another training area that is often overlooked concerns user access and overall security measures. However, especially for UC solution training, it's imperative that users understand that data protections in place, how to use them appropriately and what role they play in overall IT security and compliance (where applicable). Employees that have a better understanding of security measures will leverage UC tools in a way that better safeguards the sensitive information and assets transmitted over the system. As Brett pointed out, there are a few different styles and approaches available for end-user training, including computer-based programs, user guides, classes and one-on-one training sessions. When it comes time to train your users, consider the size and needs of your group, and leverage the approach that will work best for your team. For instance, a smaller group might benefit from an instructor-led class, where users gather and a member of the IT team knowledgeable in the new system's use goes over the features and tools. From there, one-on-one sessions can support any more in-depth training needs. Larger groups, on the other hand, might benefit from a group training session followed by subsequent access to a user guide or handbook. In this way, employees are shown the new system, and then have collateral they can access afterwards as they peruse the new features on their own. Overall, a UC deployment isn't complete without training to enable the most productive use by employees and to support a robust ROI. To find out more about best practices for deploying UC technology, connect with the experts at Teo Technologies today.